Look around today. There is so much that you can do on Windows with respect to automation that just wasn’t possible a few short years ago. It’s hard to see what has changed because our memories are sometimes so short about how it used to be, so let’s go back about 4 years ago to 2010. PowerShell was still young, there was no Chocolatey, and things like Puppet and Chef didn’t work on Windows yet. Folks were leaving Windows left and right once they got a taste of how easy automation was in other OS platforms. Well versed folks. Loud folks. Folks that were at the top of their game heading out of Windows. Many others have considered it. You’ve all heard the “leaving .NET stories” from some of the best developers on the .NET platform. But what you may not have realized is that these folks were not just leaving .NET, they were leaving Windows entirely. Some of this was in part to limitations they were finding that just were not there in other OSes. What you are also missing are all the folks that were silently leaving. For every one person speaking out about it, there were many more of the silent losses. The system admins, fed up with GUIs and lack of automation, leaving for greener pastures. The developers who didn’t blog leaving the platform. But a change has occurred more recently that has slowed that process. I believe it is better tools and automation of the Windows platform. Some people have shown such a passion that they’ve saved Windows as a platform for future generations. 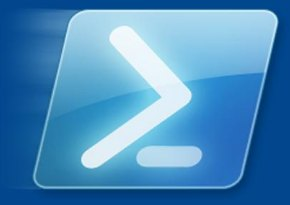 PowerShell – Arguably this could be seen as the catalyst that started it all. It came out in 2006 and while v1 was somewhat limited, v2 (Oct 2009) added huge improvements, including performance. PowerShell is prevalent now, but it had humble beginnings. When Jeffrey Snover saw a need for better automation in Windows, no one understood what he was trying to do. Most folks at Microsoft kept asking, why do you need that? But Jeffrey had such a passion for what was needed that he took a demotion to make it happen. And we are thankful for that because it shaped the face of Windows automation for all. Jeffrey’s passion brought us PowerShell, and it is continuing to bring us more things that have come out of his original Monad Manifesto from 2002. Chocolatey – In 2011 Chocolatey furthered the automation story of Windows with package management, something that other platforms have enjoyed for years. Rob Reynolds’ goals for Chocolatey in the beginning were simply to solve a need but it has since grown into so much more and is now making improvements to become a true package manager. It wasn’t the first approach to package management on Windows and it is certainly not the last. But it did many things right, it didn’t try to achieve lofty goals. It started working at the point of the native installers and official distribution points with a simple approach to packaging and very good helpers to achieve many abilities. When Rob first started working on it, most of his longtime technical friends questioned the relevance of it. Rob did not stop because he had a vision, a passion for making things happen. As his vision has been realized by many he is about to change the face of package management on Windows forever. Puppet (and other CM tools) – In 2011 Puppet started working on Windows thanks to Josh Cooper. He single-handedly brought Puppet’s excellent desired state configuration management to Windows (Chef also brought Windows support in 2011). Josh saw a need and convinced folks to try an experiment. That experiment has grown and has brought the last bits of what was needed to save Windows as a platform. His passion for bringing Puppet to Windows has grown into so much more than what it originally started out to do. 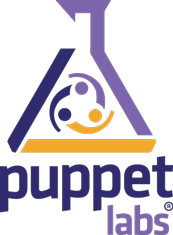 And now it is arguably the best CM tool for any platform, as the Puppet Labs CEO stated at PuppetConf 2014, Puppet is becoming the lingua franca of infrastructure configuration. All of this passion for automation has really changed Microsoft. They have adopted automation as a strategy. They are moving to a model of openness, recently announcing that the entire .NET platform is going to be Open Source. They are getting behind Chocolatey with OneGet and getting it built into Windows. They announced PowerShell DSC last year and have made huge improvements in it since then. From where we are sitting, it appears Microsoft now gets it. The effects of passion have really turned the company around and has saved Windows. Windows is becoming the platform we all hoped it would be, it’s really bringing many folks to see it as a true platform for automation and that makes Windows a formidable platform for the foreseeable future. I think you are correct on all of this!